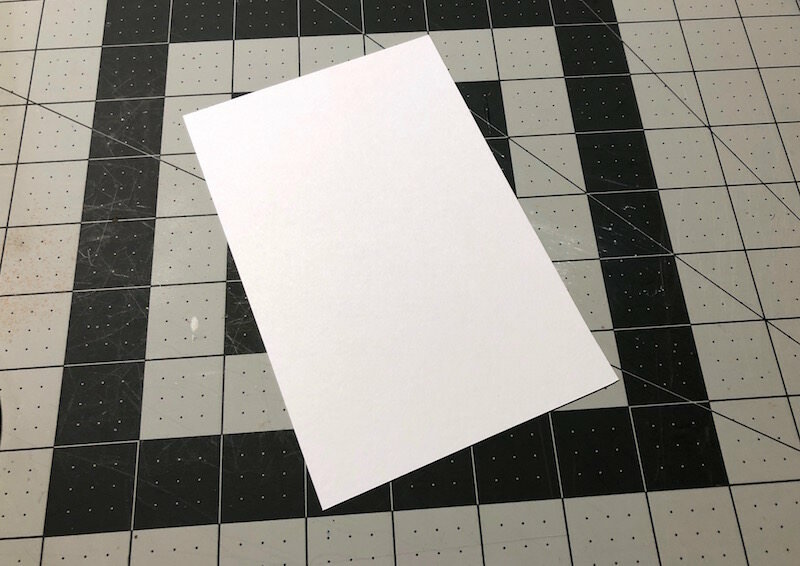 Make your own dry erase board the easy way! This DIY dry erase board was created from a $1 frame and uses washi tape. 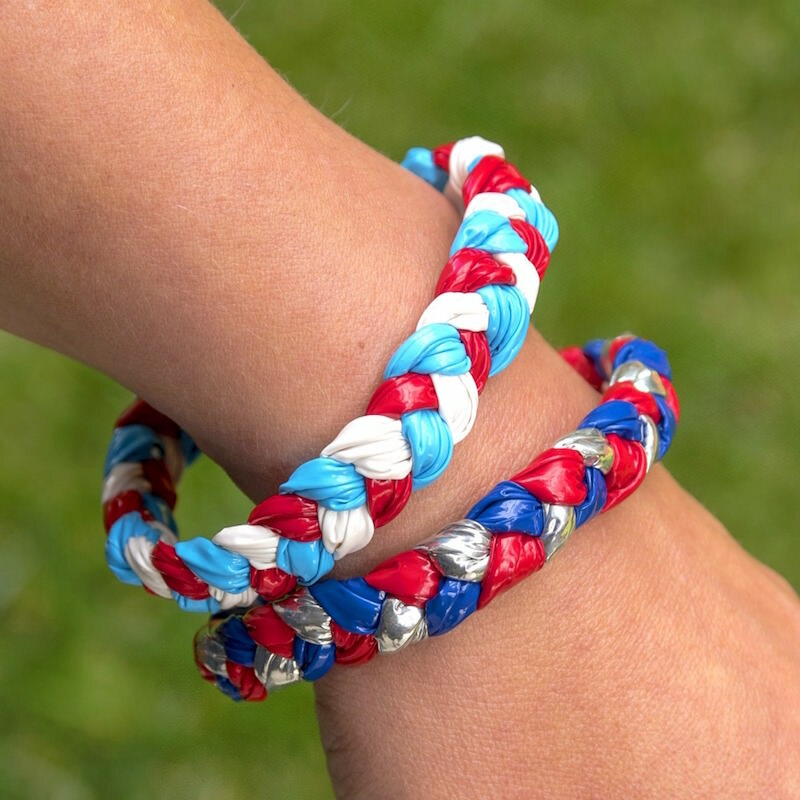 Even a beginner crafter or kid can do this project. If you’ve ever been to the frame section of IKEA, there are so many good options – and a lot of them are inexpensive. That’s the whole reason we love IKEA, right? Good looking stuff for a few bucks. One of those options in the frame section that’s on point is the Tolsby frame. The same frame I used to make this DIY dry erase board. If you want to make your own dry erase board, you can use any frame as long as it has a glass or plastic insert. What I love about the Tolsby frame is that it’s double-sided, so that means you can use it as a dry erase board on both sides. 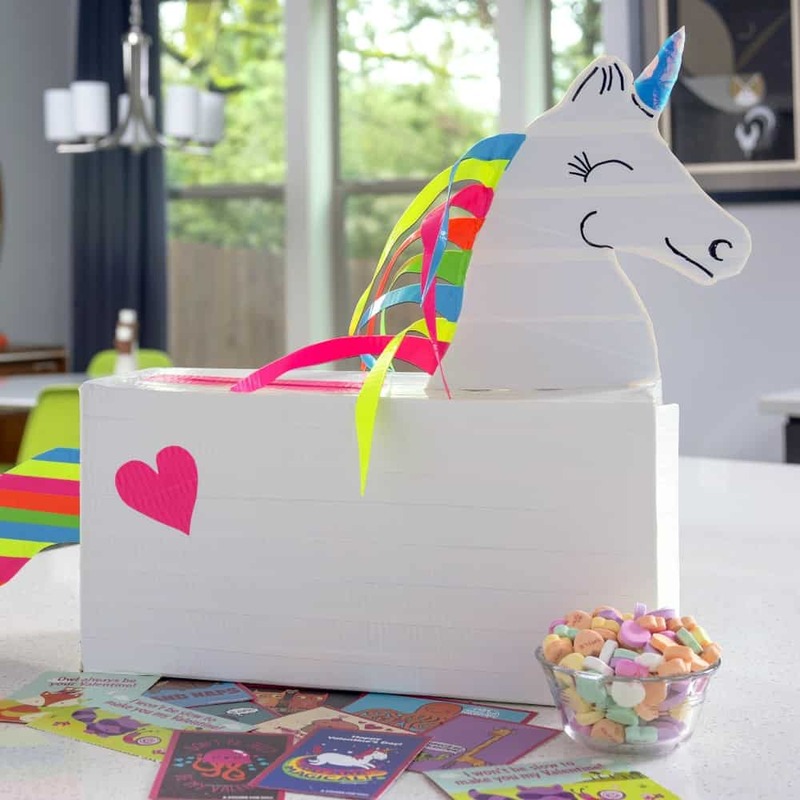 This is a mini board given that it only displays a 4″ x 6″ picture, but you can go with any size and use the same washi tape method below to decorate. Not only does IKEA have frames on the cheap that work, but Dollar Tree does too. There are a lot of places that sell frames, but I’m all about making this DIY erase board project on a budget. Don’t forget to hit the thrift stores too! Washi tape pretty much sticks to everything except for fabric and plastic. On both of these surfaces, it’s going to roll up over time. Besides that, you can use just about anything in your frame. 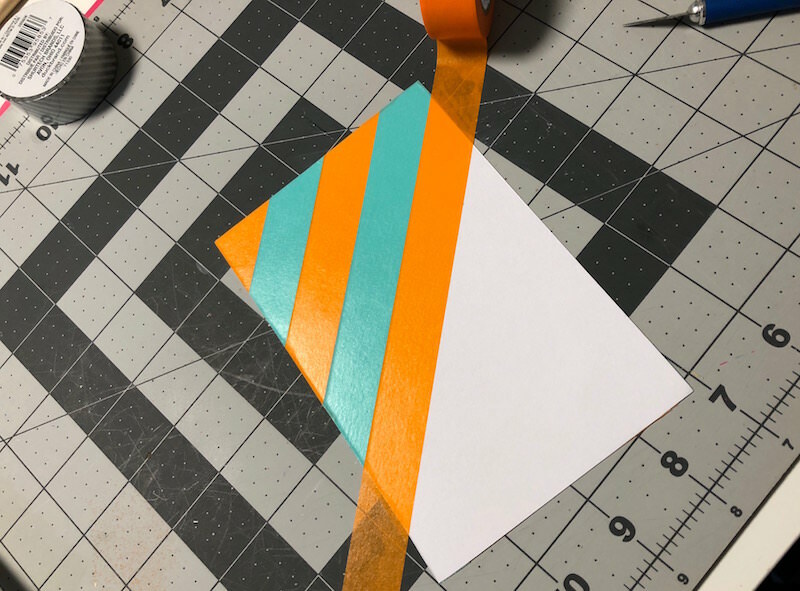 As far as patterns, it looks cool to mix washi tape colors/patterns as I did with the aqua and orange in this project. 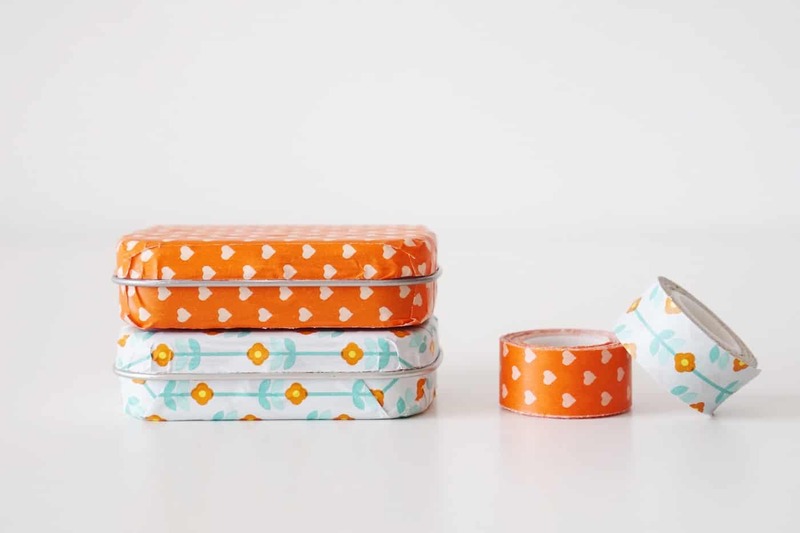 You can place washi tape on the cardstock horizontally, vertically, or diagonally. I say just experiment and play with it. The worst thing that can happen is that you have to cut a new piece of cardstock and start over. It’s really no big deal since it’s so easy to use and you won’t invest a lot of time! Are you ready to make your own dry erase board? Keep reading! This is the frame I used from IKEA. 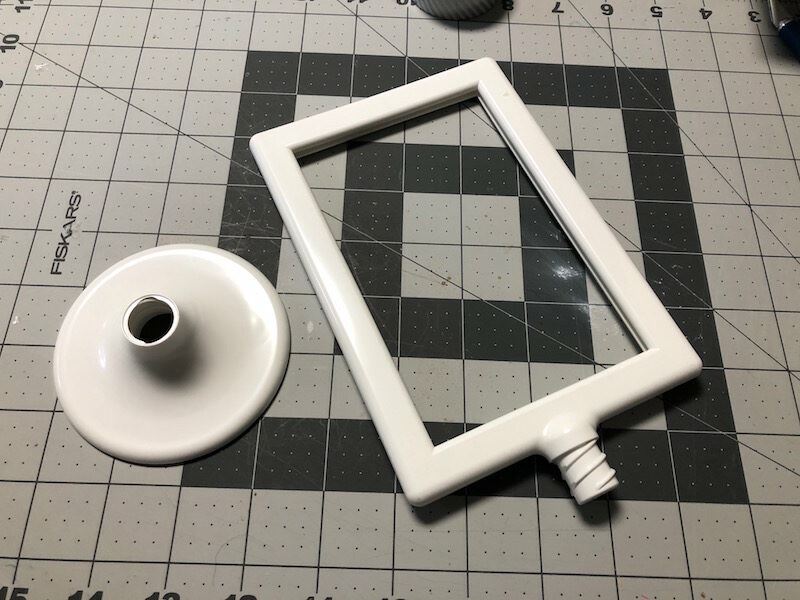 There are two plastic inserts and then a base that the frame screws in to. The pictures go back to back in this frame, so it’s two sided (which makes it more fun for the dry erase board). 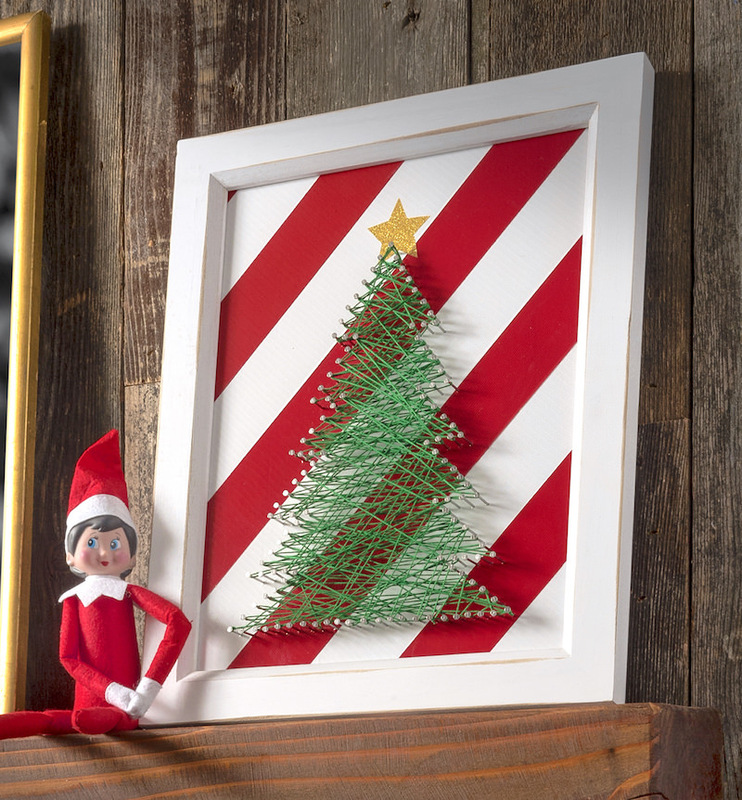 To make your own dry erase board, use a frame similar to this. Of course any glass or plastic frame will work, but this one is two sided! Cut a piece of white cardstock to fit your frame. 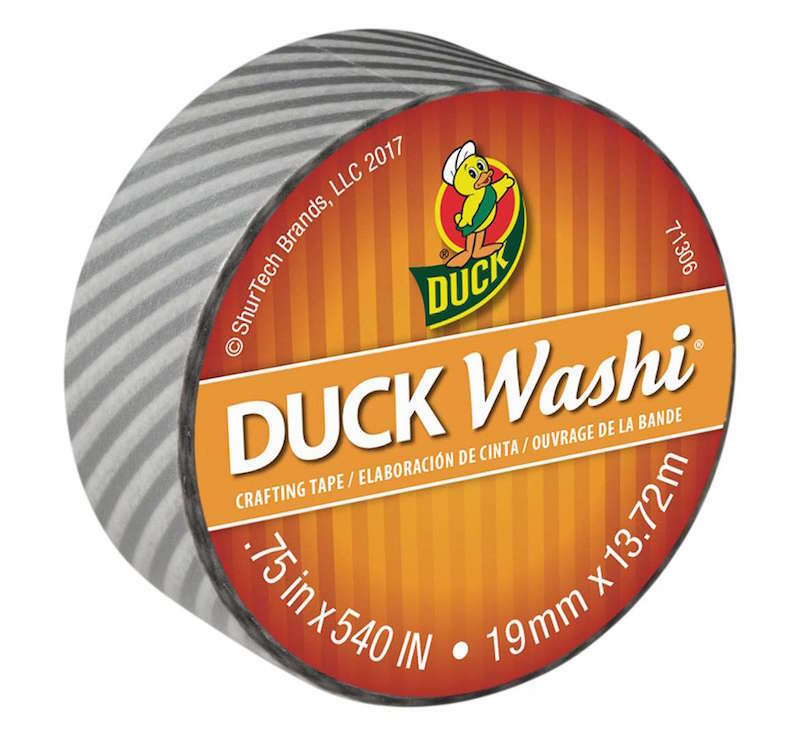 It’s easy to get the right size – just take the plastic inserts from inside, trace, and then cut. 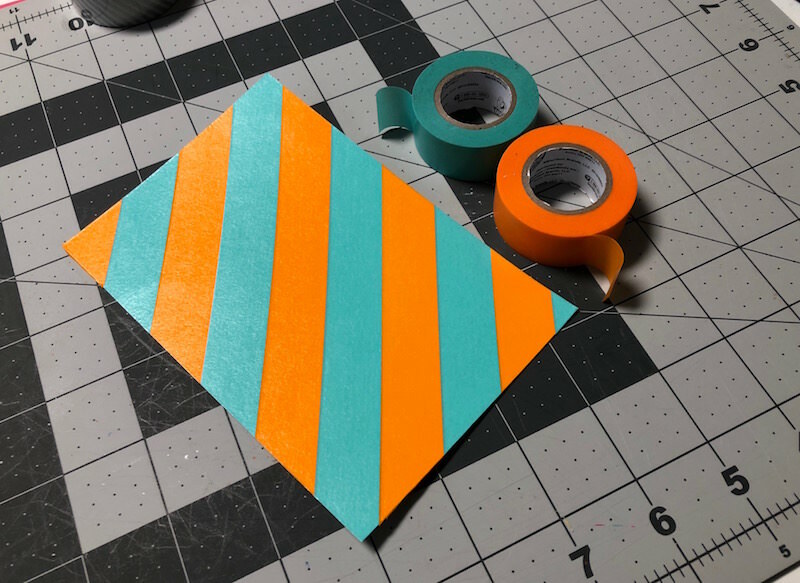 Place your washi tape down on the cardstock. You’ll just peel it off the roll and place down on the cardstock. Tear or cut the ends and then smooth down. 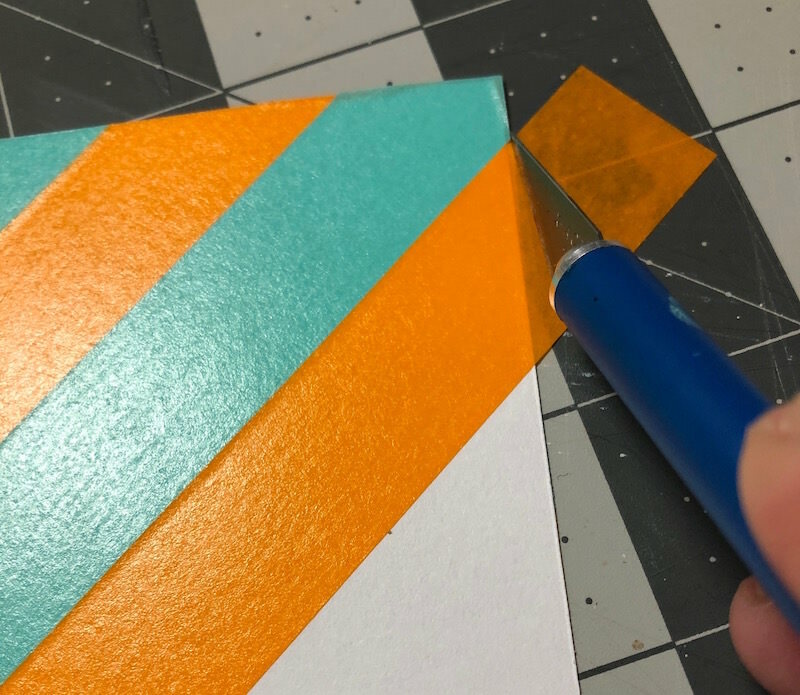 Washi tape sticks to cardstock pretty well without any additional help. 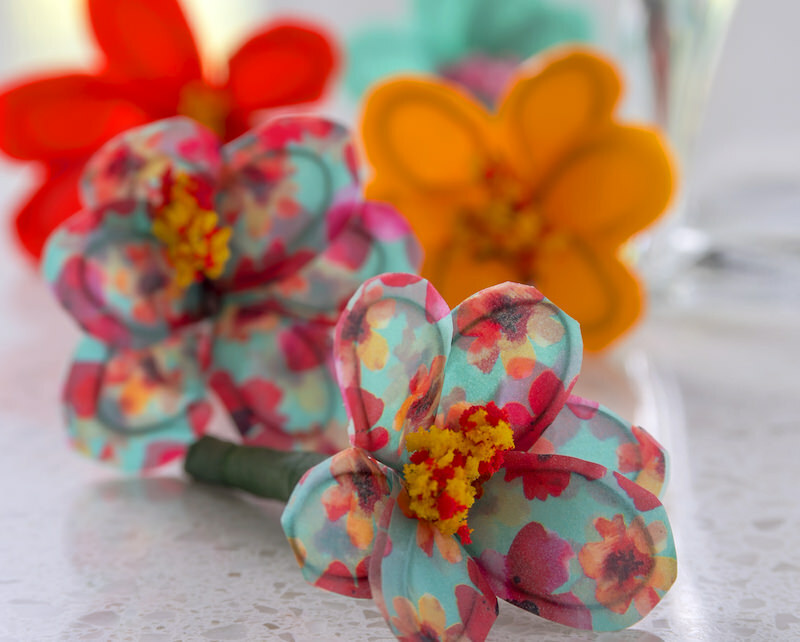 At the corners of your cardstock, trim the washi tape using scissors or a craft knife. Once you are doing covering one side of the cardstock with washi tape, cover the other side and then trim. Insert the cardstock into the frame, making sure to place the glass or plastic insert over the top. You can use any dry erase marker to write on your DIY dry erase board, and it wipes away with ease. Use this mini DIY dry erase board to leave notes for family members – or to yourself! These are so fun for surprising people with sweet messages. I like to keep one at my desk so I can remind myself of the most important thing I need to accomplish for the day. What will you write on your DIY dry erase board? Let me know in the comments!